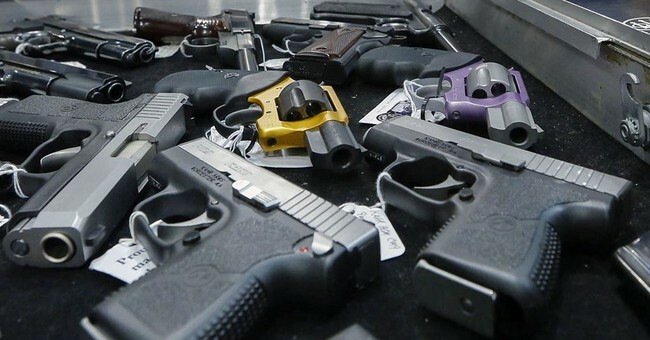 The National Rifle Association (NRA) and the Second Amendment Foundation (NRA) on Thursday filed a lawsuit challenging the legality of Washington State's recently passed initiative 1639. Various individuals and gun dealers also joined in on the suit. • Raises the age someone can purchase a rifle to 21. • Creates an "enhanced background check system similar to what is used for handguns." • Requires a person to complete a firearms safety training course. • Creates a common stand for secure gun storage. According to the lawsuit, the plaintiffs believe i-1639 violates the commerce clause by banning the sale of rifles to non-residents. They also argue that the initiative violates residents' First, Second and Fourteenth Amendment rights. One of the biggest areas that gun rights advocates have with the initiative is making it illegal for 18 to 20-year-olds to purchase long guns. “We are also considering additional legal challenges,” SAF Executive Vice President Alan Gottlieb said in a release. “We are disappointed that too many Evergreen State voters were fooled into supporting this 30-page gun control scheme, despite overwhelming law enforcement opposition. This initiative is an affront to the constitutional rights enshrined in the Second Amendment and the Washington state constitution, especially for young adults." The NRA-ILA's Chris Cox says his organization is committed to fighting this initiative in court. “The NRA is committed to restoring the Second Amendment rights of every law-abiding Washingtonian. I-1639 violates the constitutional rights of law-abiding citizens and puts people at risk. This lawsuit is the first step in the fight to ensure that Washingtonians are free to exercise their fundamental right to self-defense," NRA's Institute for Legislative Action executive director said in a statement. “The NRA will fight to overturn this unconstitutional initiative. We will not sit idly by while elitist anti-gun activists attempt to deny everyday Americans their fundamental right to self-defense." Gottlieb said he hopes millionaire gun control advocates haven't bought the court like they did buying votes for this ballot measure.